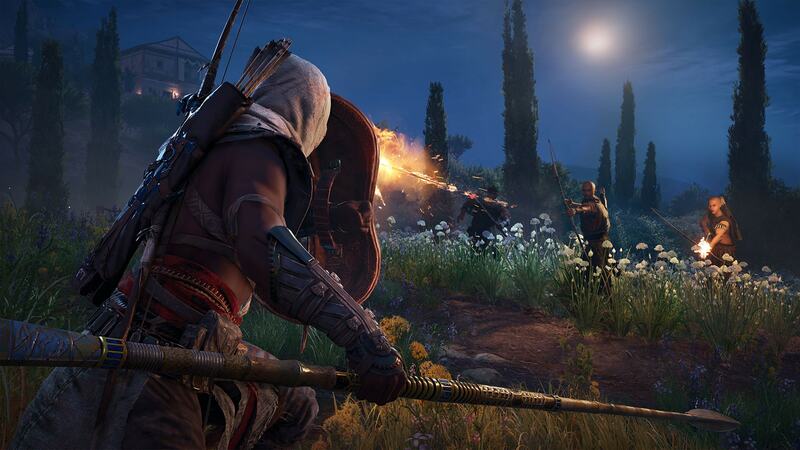 Prove your worth with all new ways to fight, and discover rare, powerful weapons along the way. 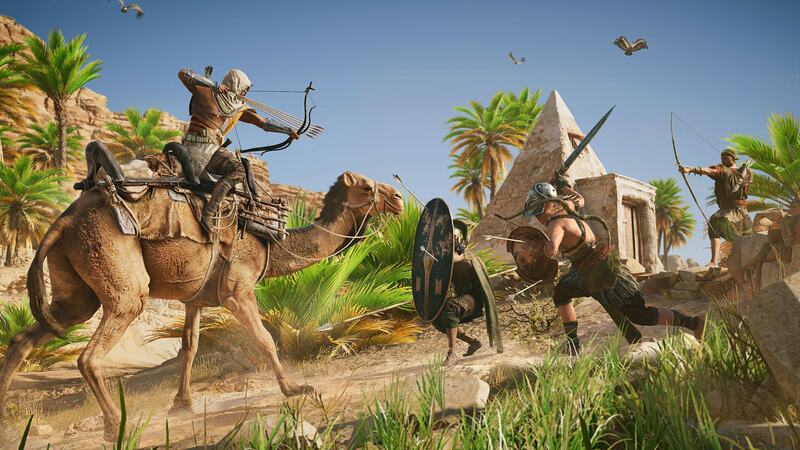 With the new combat system, fighting in Assassin’s Creed® Origins has been fully redesigned around weapon hitboxes and positioning rather than timed animations, giving you far more control over every combat encounter. 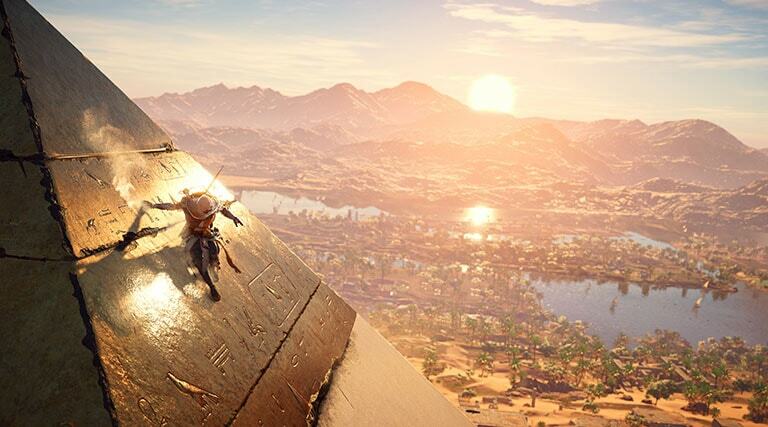 Since your enemies have that same new freedom, it means you’ll have to consider the positioning and timing of your attacks more than ever before. In addition to a revised combat system, the new Adrenaline Gauge allows you to build up energy as you fight, giving you the ability to unleash devastating finishing moves on your enemy. Start working out now – these heavy weapons are life savers as long as you can lift them. 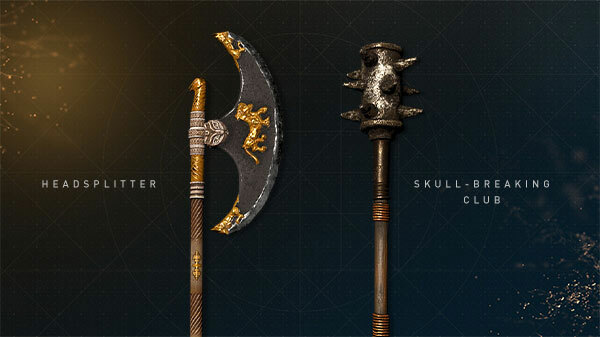 With good range and maximum damage, these are great at knocking down your enemies. Or just splitting them in two, if you’d rather. 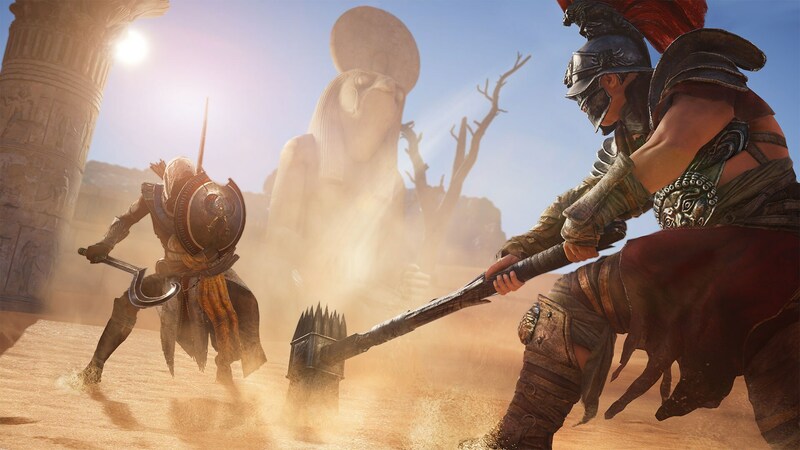 From the classic sword-and-shield setup to dual-wielding swords, the weight and build of these make them perfect for close combat situations where you need to inflict some serious damage fast. 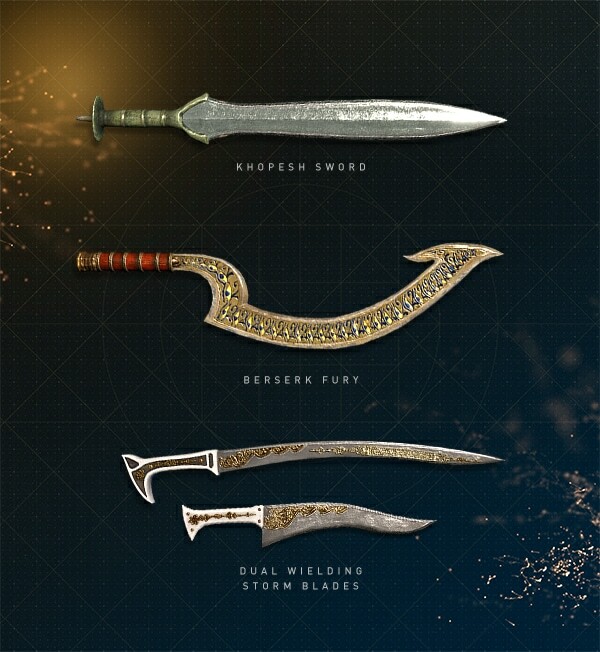 Equipping single handed or dual-wielded swords will offer you unique combos and finishing moves, too, so choose accordingly. When you need long range with some quickness, pick up a scepter or a spear and go to town. 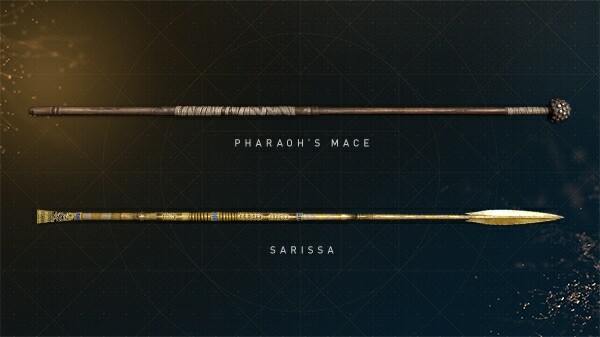 Whether you’re swinging them or thrusting them, these do more damage than you might think, especially as you and your weapon level up. 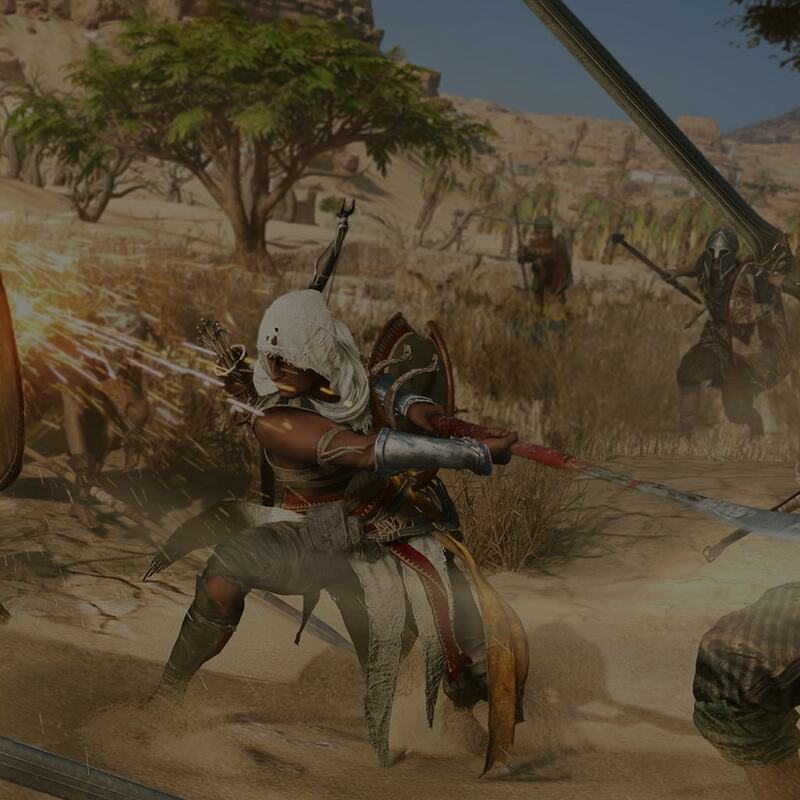 The bow is a critical part of your arsenal, giving you the freedom to alternate freely between short-range and long-range combat. 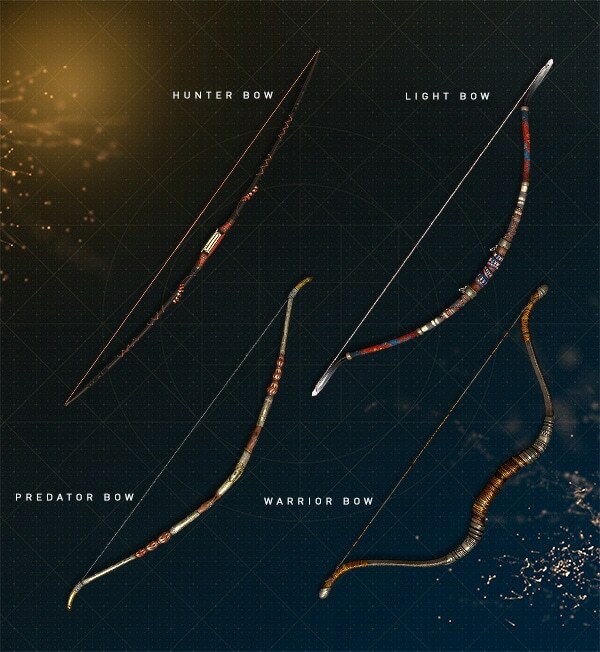 You’ll also be able to choose between various types of bows that’ll affect your long range abilities, from the aptly-named Warrior Bow — which are used to fire multiple arrows at once — to the sniper-like Predator Bows that allow you to alter the trajectory of your arrows mid-flight. 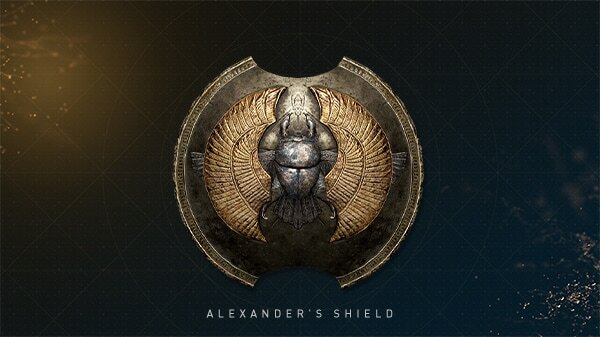 From a few slabs of wood to the most ornate shield around, the shields found throughout your journey can be used to defend from incoming melee attacks, to bash an enemy’s face in, or to catch arrows shot at you to refill your quiver. There are plenty out there, so find the shield that works for you and prepare to get it bloody. 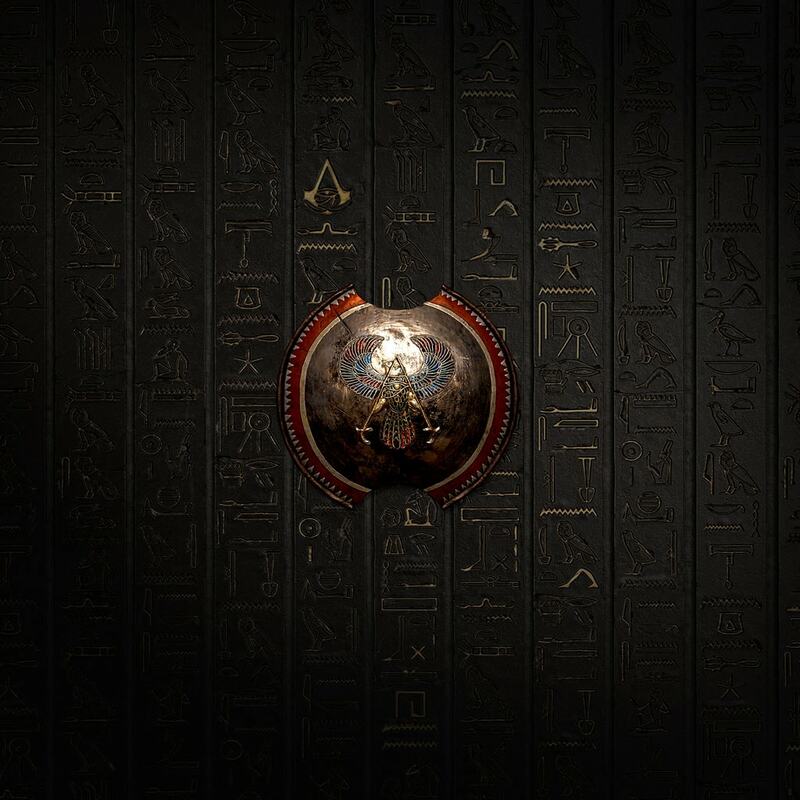 You'll uncover countless weapons in your journey across Ancient Egypt, each with different levels of rarity and strength. 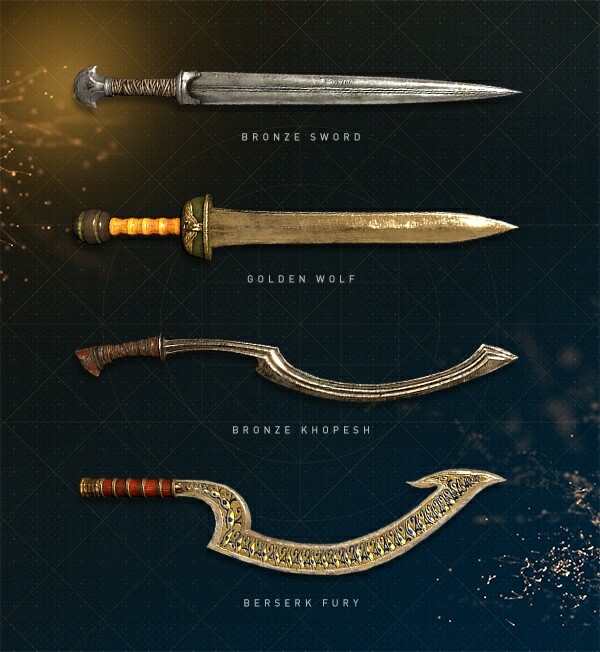 There are three levels of weapon rarity, ranging from Common, Rare to Legendary. 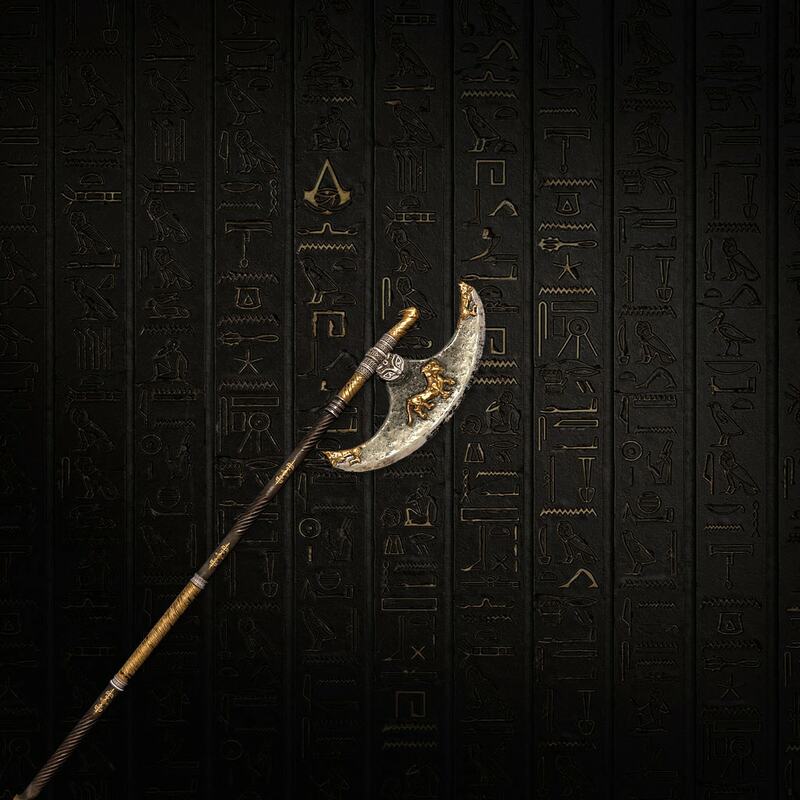 Whether you're wielding a standard scepter or an advanced sniper bow, every weapon has its own strengths and characteristics that drastically affect your playstyle. 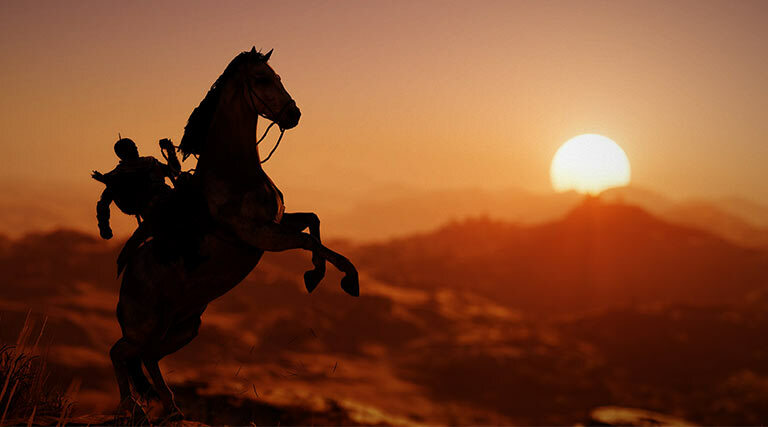 The rarer the weapons you find, the stronger advantages you'll bring to the battlefield.